In Online Banking you can now update your Overdraft Transfer Settings for your Checking account. 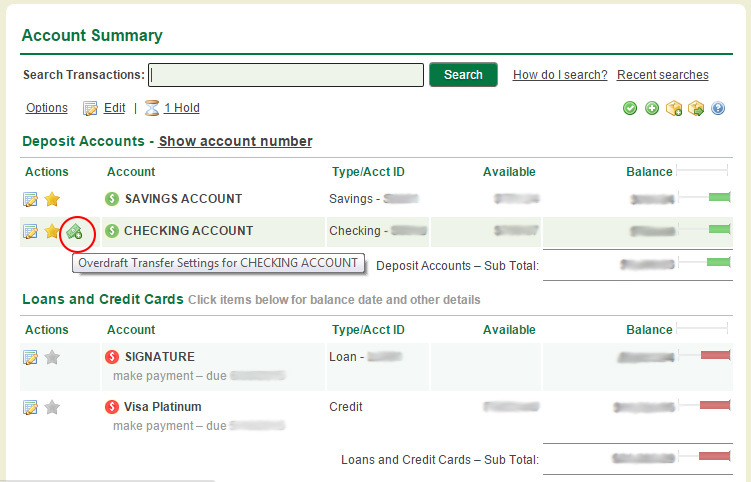 In the Account Summary pages select the dollar icon next to Checking account (see image below). 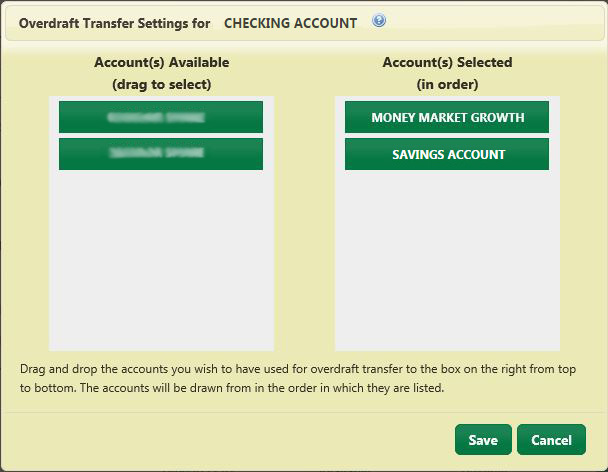 Drag and drop the accounts you wish to have used for overdraft transfer to the box on the right from top to bottom. The accounts will be drawn from in the order in which they are listed (see image below). Overdraft transfers will occur in $100 increments. It is important to remember that there are no restrictions on the number of transactions that you can perform on your checking account and Regulation D does not apply to Lines of Credit. What is the Regulation D limit, and how can I view my Regulation D transfers in RCU Online banking?